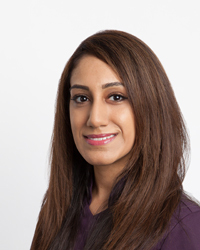 In 2008 Sara attained a dual qualification in Dental Hygiene and Therapy at the Royal London Dental Hospital. At her time of qualifying she was the second youngest in the country to have achieved this. Since working she thoroughly enjoys the rapport with her patients from all walks of life and thrives on helping patients to maintain a confident healthy mouth and smile. In her spare time, Sara loves to travel and experience different cultures and traditions. She enjoys dining out, visiting the theatre and spending time with friends.